Drew... I hope you are feeling better soon. I was looking at the GoPro Hero HDs... Very nice! Just added your blog to my "Blog List". You have a great blog going here. Keep up the good work! Thanks and I appreciate you stopping by to read my blog. 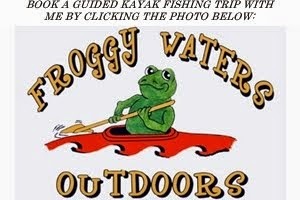 I have seen a lot of your posts on RiverBassin and it looks like y'all catch 'em up on the lower Susquehanna. I grew up in central PA and regularly fished the Susquehanna around Selinsgrove/Sunbury as a teen. My father still fishes it regularly. We also have a lot of family in the Lancaster area and occasionally fish down that way. Hopefully these warming trends continue and you northern guys can get out on the open water soon. Tight lines! We just got 6" of snow last evening and may have record cold temperatures tonight. Hopefully, it's Winter's last hurrah!